There are many things in Scripture spoken of as memorials, things which bring to remembrance - the rainbow, the priestly garments, memorial portions of offerings, Passover, jealousy tests, and ultimately, the Lord’s Supper. 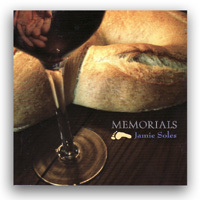 Memorials is a musical celebration of God's faithfulness reflected in these signs of remembrance. 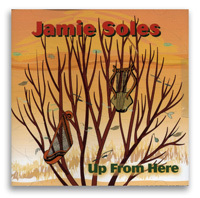 The Lord has blessed my family with the musical talent of Jamie Soles, his wife, daughter, and friends. 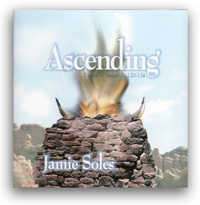 The Ascending "album" is one of those things I use to be faithful to not judge, but put good things before others' eyes/ears. Contemporary music, Christian radio tunes are avoided because they lack the annointing we sense from this album, hymns, and other sources. All ages in our family and sphere of influence are drawn to this album. My son is 14, tall, buff, and sports a mohawk (my influence - ha!). He enjoys the Ascending album, but also has a sweet tooth for classical music, and rap. I am careful not to judge, but let God mold the man, while I stay faithful to put before his eyes and ears pure things. Music is a great tool God uses to enable my son to purge for himself those things God puts his finger on.